Champagne is a top wedding drink trend again, with the dramatic sabering of champagne bottles popular at NJ wedding now, and the dramatic pouring of a champagne tower. Wedding survey company Wedding Report says that over 40% of wedding couples highly prioritize top quality champagne at their weddings, with champagne offered at the bar as champagne cocktails in addition to a generous pour for the wedding toasts. Smaller sips. Drink stations offer small servings of bourbon, vodka, microbrew beer flights, and tequila is a top trend for NJ weddings. These small sip drinks may be paired with foods as well, and your wedding venue’s chef can assist in creating the perfect pairings. Locally-sourced drinks. Wedding bar menus feature microbrew beers from NJ breweries, as well as wines from local NJ vineyards, in addition to domestic and imported beers and wines. Garden elements. Wedding cocktails are garnished or muddled with garden-grown or farm-sourced herbs and berries for a natural taste and great color to wedding drinks. Sangria. This colorful fruity drink, or pale pink sangria, or white sangria is a top bar menu choice for weddings, again tying in the freshness of fruit slices in the presentation at your wedding bar. Multiple signature drinks. 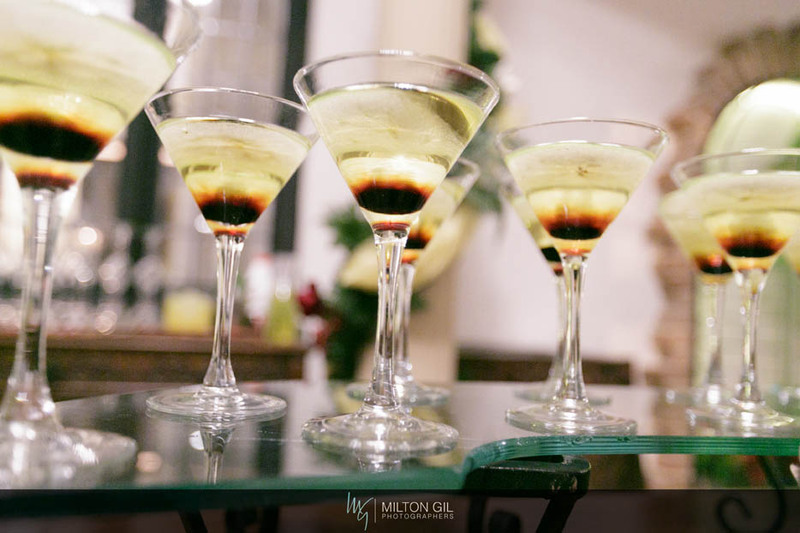 Why choose just one when the trend for wedding drinks in 2016 is a wider variety of favorite cocktails and unique signature drinks custom-created by your NJ wedding venue’s mixologists? Add in the presentation flair of your signature drink menu written artistically on a chalkboard to get guests excited to try small pours of your signature drinks. Classic soft drinks. Several years ago, flavored sodas were a must for a wedding bar menu, and now we’ve returned to the classic soft drinks, including iced tea and lemonade served in grand decanters. A great soft drink menu quenches guests at a garden wedding in the summer, and lets guests pace their alcohol consumption at the reception. Drinks from your love story. ‘Your Drink’ might be a wine vintage that you love to share during your romantic dinners, or the type of champagne you enjoyed when you got engaged. A particular cocktail that’s your usual order when you go out to New Jersey restaurants, or your drink order from your first date. Bringing in a signature drink from your love story is a top wedding drink trend for 2016’s personalized weddings, especially when you add the story of your drink to your bar list or menu card. This entry was posted on Monday, July 27th, 2015 at 10:30 am	and is filed under Wedding Drinks, wedding receptions, Wedding Trends 2016. You can follow any responses to this entry through the RSS 2.0 feed. Both comments and pings are currently closed.